Lush and mountainous, Peru is one of the most beautiful places on earth to hike and trek. The region surrounding Machu Picchu is readymade for hikers of all kinds, with a great variety of trails that have been established over time–often by the Inca themselves many centuries ago. No matter where your interests lie; nature, local culture, archaeology or all the above, you’ll find a hike that is right for you. What’s more, many of these are quite easy to combine with a trip to Machu Picchu, which makes for a picture-perfect hiking reward. Most travellers fly into Cusco, gateway to all kinds of hiking, trekking, and outdoor adventures. Whichever trail you choose, you’ll certainly want to spend some time here. As the capital city of the Inca Empire, and later a stronghold of the Spanish conquistadors, the city is a fascinating blend of the two cultures. Beware of the altitude on arrival: Cusco sits at a lofty 3,400m (11,100 ft) above sea level! Between Cusco and Machu Picchu is a peaceful, rural region known as the Sacred Valley. This is where some the most popular multi-day treks begin. It’s not a bad idea to overnight in the Sacred Valley before your trek if you are hiking the Classic 4 Day or the 2 Day Inca Trail, or the Lares Trek. Not only will you be at a lower altitude than Cusco, allowing for easier acclimatisation, you’ll also be closer to the trailhead, allowing you to sleep a bit later the morning you start out. It’s important to note that there is no car service to Aguas Calientes, the town just below Machu Picchu (also known as Machu Picchu Town). You can only reach it by train or on foot. Once in Aguas Calientes, your choices to get up to the actual citadel include hiking up (note that this will take over an hour and is not recommended if you want to get there when it opens) or taking a shuttle bus. 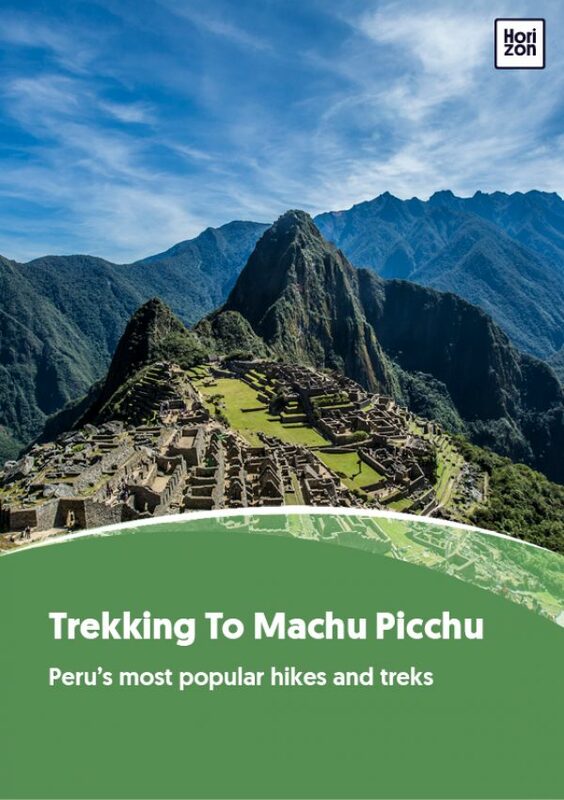 Of all the multi-day treks, only the classic Inca Trail will lead you directly into the Machu Picchu citadel on foot, a dramatic experience that makes this one of the most coveted trekking routes in the world. The secret is out on Peru’s world-class hiking routes. For good reason, the classic Inca Trail and its alternatives attract more and more visitors every year. To handle increasing volumes, the local government has implemented a permit system for several of the most popular hikes. Best way to secure permits? Work with a reputable tour operator and plan ahead! For travel during the high season of April through September, permits are likely to sell out months in advance.